The three-day International Building & Construction Trade Fair (CBD-IBCFT (Shanghai)) has come to an end at the Shanghai National Convention and Exhibition Center after witnessing more than 300 international enterprises promoting their latest designs and products, and registering 42,000 visitors, a 24.19% increase from the previous year. An extension of the original CBD Fair (Guangzhou), CBD-IBCFT (Shanghai) hosted over 300 top-tier brands in the building and decoration domain including Boloni, TATA, WISION, SiMBOR, Suofeiya, and PIANO. The Fair, which included approximately 30 forums on topics such as new retail, brand upgrading, smart home products and design, and more, facilitated communication across the building decoration sector. We are thrilled with the success of CBD-IBCTF (Shanghai). 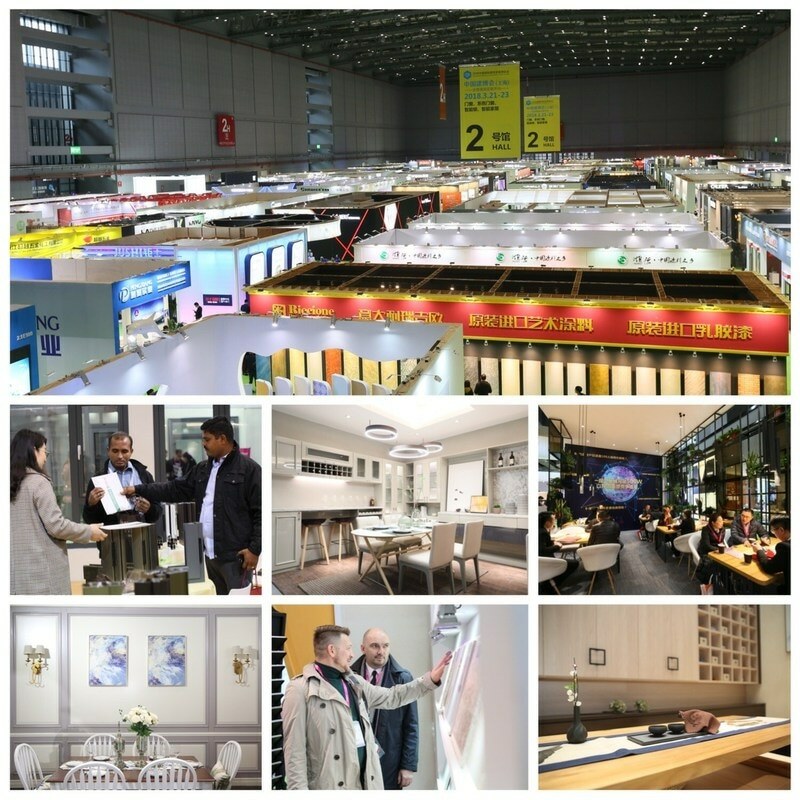 Not only is the new record number of exhibitors, visitors and deal value an indication of the healthy state of the building decoration industry, but it affirms the Fair's status as a can't-miss event alongside CBD Fair (Guangzhou). The size of the global smart home market is estimated to reach US$122 billion by 2022. This means that the smart home sector might see the largest growth within the home decoration industry, we are proud to support at the Fair. "The fair has offered us many opportunities to reach out to our partners. On the first day of the exhibition, we had harvest deals with more than 60 distributors," said Sun Baoying, General Manager of KOOMO, a wooden door manufacturing company. "The products showcased at the Fair are well-designed, with a unique touch," said Ms. Zhang a designer from Guangzhou. "I came to find some good design ideas for doors and windows, and I can integrate some of my findings today into my future work." The China Foreign Trade Centre and the China Building Decoration Association will partner with Red Star Macalline to co-organize the next CBD-IBCTF (Shanghai), which will be conducted from March 19 to 21, 2019 in a bid to build a bigger home decoration exhibition.